Jason never accepted less than the best. We remain dedicated to ensure that the Captain Jason Dahl Scholarship Board and the growing community of Scholarship Winners reflect this expectation of excellence. The Captain Jason Dahl Scholarship Fund is a IRS qualified 501(c)3 Non-Profit Corporation. The Captain Jason Dahl Scholarship Fund was established the day after the national tragedy, and grew to a respectable sum within the first few months, thanks to the outpouring of support from family, friends, and other generous Americans. That outpouring continues to this day, as fundraising activities and charitable organizations demonstrate with generous contributions. We here at the Dahl FUnd provide scholarships for qualified students who wish to attend accredited commercial flight training schools in the United States. Anna received her accounting degree from Metropolitan State College of Denver. She has had her own practice, A. Abbott Accounting CPA, LLC since September 1998. 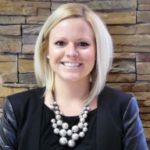 She is a member of the AICPA, CSCPA and longtime member of the CPE Committee for the CSCPA. She has consulted Tom Bush with his company, Front Range Birding for the last six years. In that time she has learned through Tom how important the Captain Jason Dahl Fund is to student pilots and has volunteered to help manage the accounting. David graduated from Central Washington University with degrees in Psychology and Aviation Sciences. After serving with the United States Air Force, David was a new United Airlines hire and close friend of Jason Dahl. David is a Boeing 777 Captain for United and an Airline Transport Pilot. His type ratings include 727, 737, 747, 757, 767 and 777. He has over 20,000 hours of flying total time, with over 15,000 of those as pilot in command. 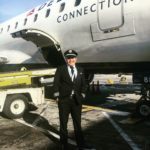 David has spent over 25 years with United and is a former Flight Instructor (CFI, CFIME), Charter and Corporate pilot, and served as Captain for Simmons Airlines. Jeff met Jason in 1990 at United Airlines. Jason was a Ken Caryl neighbor, and Jeff’s mentor in the B-727 fleet as a Pilot Instructor. They shared a love of instruction and flying, raquetball, aviation stories, and a good practical joke. Jeff’s a 1982 graduate of the US Naval Academy, and flew C-130s and T-37s in the US Air Force. A 21-year UAL pilot, he is an A-320/319 Captain and lives in Denver with his wife of 25 years, Pam, and three daughters; Caroline, Madeline, and Juliet. Joseph is a First Officer at Republic Airline, flying the Embraer 170/175. He is a self proclaimed “AvGeek,” and a passionate musician, primarily playing the violin amongst other instruments. 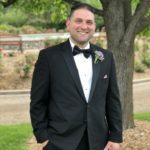 Joseph grew up in Long Island, NY, and has since moved to Florida, where he graduated from Jacksonville University in 2015, studying Music and Aviation. Outside of the cockpit, Joseph can likely be found exploring a new city and enjoying the best food it has to offer, or happily catching up with friends around the globe. Joseph was a 2014 recipient of the Captain Jason Dahl Foundation Scholarship. Justin is a 2004 recipient of the Captain Jason Dahl Scholarship. He graduated in 2007 from Metropolitan State College of Denver. Justin has previously flown for Atlantic Southeast Airlines and Frontier Airlines. He was hired by United Airlines in 2015. 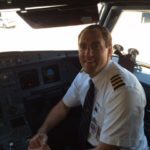 He is currently a 737 first officer based in Denver and lives in the metro area with his wife Krista, and two sons; James and Jase. Kevin was a friend and neighbor of Jason Dahl. Kevin is a Controller for Xerox Corporation, and has a MBA in Finance from the University of Chicago. Kevin has served as Secretary of the Captain Jason Dahl Scholarship Fund since its creation. He has avid interests in sailing, and is a key participant in many local community activities in the Denver area. Denver area with my wife Heather, and two sons; Walker and Rowan. Knowing how the scholarship impacted my life, I am excited to help aviation students pursue their dreams of flying. Hi there! I am graduate from San Jose State University's Aviation department and am currently a First Officer at Spirit Airlines. I live in Santa Cruz, California. I am so excited about helping students follow their dreams with this wonderful organization. 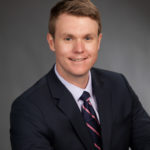 Nathan Rau is an extremely frequent traveler in addition to being an attorney specializing in intellectual property law. Nathan currently works at Microsoft as a patent attorney supporting the Server and Tools Business. Prior to working at Microsoft, Nathan worked for private law firms in Dallas Texas and Minneapolis Minnesota. Previously, he worked as a contract engineer for the United States Navy in various research and development projects. Nathan has long been interested in aviation, and has flown both single and multi-engine aircraft as well as skydived. Nathan currently serves as the General Counsel for the Dahl Fund. Pam is a business and IT Solution Consulting Specialist. In the course of her career, she has worked with multiple community organizations and nonprofit organizations. 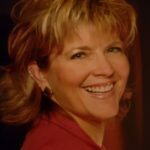 Her Education includes a Bachelors of Science in Business and Masters degree in Communications & Information Technology (MSCIT) and on the Deans List from the University of Denver (DU). Pam has been an avid Volunteer and organizer since childhood. Growing up in a large family there was always a need to lead, plan, and organize, which led her into volunteering as a passion. Pam has held a Vice President position in the Sports Car Club of America (SCCA) Colorado Region Board of Directors. She served on the Bod for many years as board member over the past 20 years was also a National Registrar, and the Race Chairman for many regional, national and international events, including the Indy Car Denver Grand Prix. She also led and organized numerous policy, credentialing, funding campaigns, as well as fiduciary responsibilities associated with large, complex organizations. Pam was also chosen to be an inaugural member of the Colorado motorsport contingent to bring all Colorado based amateur racing groups to together to partner, support and work together through joint decisions and common goals, encouraging race tracks and local organizations to succeed. She is an active Weight Watchers coach as well as motorcycle enthusiast her hobbies include NASCAR racing, Denver Broncos football , friends, family and volunteering. I am graduate Michigan State University with a BA/MA in education. I spent 42 years in public education as a teacher and principal. Jason Dahl lived a few blocks from my elementary school. Through relationships with Jason’s wife Sandy we initiated the Jason Dahl Heartland Hero Essay Program. This program highlights the exceptional character of Jason Dahl and the heroes of 9/11. Students write essays about their own personal heroes and how their heroes have inspired them to help others. 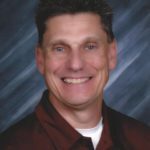 Following graduation from Colorado State University with a degree in Business Administration, Steve was hired by a Denver CPA firm. He continues to maintain a small CPA practice utilizing the airplane in which he learned to fly, a 1960 Cessna 210. Steve was hired by United Airlines as a Flight Attendant in 1977. During a leave from United in 1980 and part time through 1985, he worked as a cargo pilot and flight instructor in San Jose, CA. He was hired as a Flight Officer by United in April of 1985. A devout Boeing fan, he flew as Captain on the B-727, B-737, B-747 B-757, B-767, B-777 aircraft during his career at United. 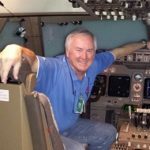 He retired from United Airlines on the B-747 in June, 2016. Ironically, he met Jason Dahl at the Reid Hillview airport in San Jose, where Jason worked as a lineboy. In 1994, Steve took his first Captain check ride on the B-737 from Standards Captain Jason Dahl. Tom is a United Airline’s Airbus A-320 Captain. His aviation career includes extensive experience, both military and civilian. His military tour spanned over 30 combined years of active USAF service and Air National Guard duty both as a T-38 Instructor Pilot and as an Evaluator Pilot in the Lockheed C-130. He is a retired full Colonel in the USAF. Tom’s civil aviation career began in 1978 with Trans World Airlines where he flew the Boeing 727, Lockheed L-1011, and Boeing 767. In 1992 Tom joined United Airlines and became a Pilot Instructor on the Douglas DC-10. At United he has spent time as Captain of the Boeing 737, Boeing 727, and currently the A-320. Tom was a co-worker, neighbor, and close friend of Jason Dahl and now serves as the Fundraising Chair. When not flying, Tom and his wife Diane run a retail specialty store (Front Range Birding Company), enjoy outdoor activities, and spend as much time as possible with their 2 grandsons.